The Ukrainian needs an urgent medical examination. The state of health of Ukrainian Nadiya Savchenko being on hunger strike in the Russian jail is worsening. "Nadiya has stopped her dry hunger strike but is suffering serious complications. Yesterday she had vomiting of water she tried to drink. Moreover, her already damaged health is worsening. A high temperature for several days already witnesses at least a serious inflammation of internals," Savchenko’s lawyer Nikolay Polozov wrote on his facebook. According to him, the Ukrainian needs an urgent medical examination, and she does not let Russian doctors to see her. Ukrainian doctors are still in Rostov-na-Donu, but they have not received the permission for the Russian authorities to meet and examine Savchenko. "Anyway, Nadiya Savchenko urgently needs at least a medical examination to estimate her current state of health, to determine the potential risks and the right way of abandoning hunger strike. I have read that Ukrainian government appealed to Germany to send their doctors for Nadiya. But when will they come? This problem requires an urgent solution," Polozov added. 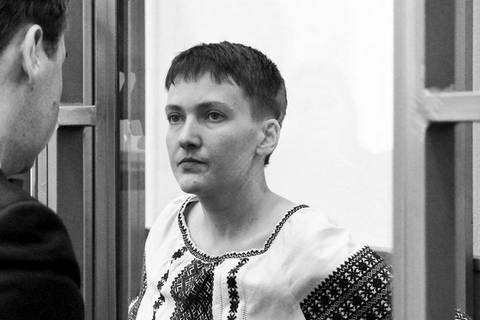 As reported before, Savchenko announced a dry hunger strike since 4 March. On 10 March, she agreed to drink water.